Today we’re are continuing with What Women Fear by Angie Smith by discussing chapter 2: Fear of Rejection, Abandonment, and Betrayal. If you’ve read (or listened, Hi Brittany!) to this chapter, you know that the scripture she looks at includes Job and Leah. Before we get to that, Angie’s “friends” when she was 12?!! Oh my word. I hate mean girls. Picturing Angie’s excitement as she prepared for the ballet teacher audition and then when she overheard them afterwards. 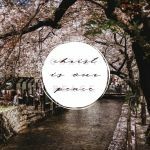 We talked last week about how silence is one of the greatest weapons of the enemy. The more he can keep us not talking about our what-ifs the more they can grow. This is another one of his great weapons . . . crush the trust of someone through rejection, abandonment, or betrayal and you don’t have to have “really bad” things happen to them (though, of course we know bad things can happen to any of us). Once trust is damaged, a common response is to look like we are participating in life, without truly engaging at the deepest level. I was thinking of another movie clip that shows what can happen when someone has their trust profoundly violated. This scene is from Good Will Hunting and there is colorful language, so don’t play with young kids around 🙂 and if you’d rather not hear it, no problem. Watch it as if you are Will (played by Matt Damon) and the therapist (played by Robin Williams) is the Holy Spirit. If you’re reading this in an email, you can watch the scene here. 1. Will asks, “Do you have experience with this?” and Sean answers along the line of having 20 years of counseling experiences. “No, do you have experience with this?” Did he, through personal experience, know what Will had experienced? Hebrews 4:15 came to mind. For we do not have a high priest who is unable to sympathize with our weaknesses, but one who in every respect has been tempted as we are, yet without sin. Yes, this scripture is about temptation, but what a comfort that we can ask Jesus, “Do you have experience with rejection, abandonment, and betrayal?” and know that the answer is yes. “It’s not your fault.” Don’t mess with me. I’m okay as long as I keep the moat around my heart. If you breach it, I may fall apart. “It’s not your fault.” The base message of God behind this fear. 3. Oh the beautiful result when this fear is faced and God restores. That embrace between Will and Sean. It went on and on. Will clutching to Sean, and Sean hugging him back with equal force. 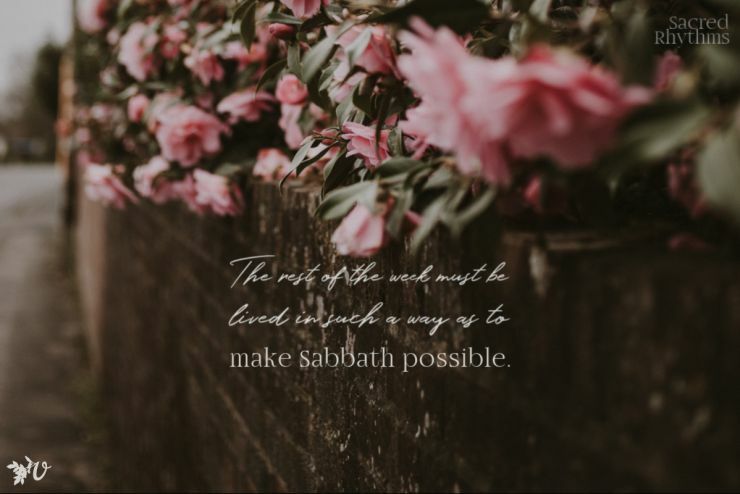 This ending is what God wants for each of us—to be in close, healthy relationships with ourselves, those around us, nature, and with God himself. I couldn’t believe how well that scene fit in with this chapter. I wasn’t surprised she used Job as a scriptural illustration. Understandably, Angie could have used almost anyone in the Bible because rejection, abandonment, and betrayal is common to us all. I had not noticed the ways the names of Leah’s son’s changed from names that would show how hopefully Jacob would love her now. But she didn’t. Sometimes it does not matter how much you try to adapt to the local culture, or reach out to someone at home, or work hard in your job, you will not please the ones you want to please. Ah, may God be using this book and our conversations to rewire our heads, hearts, and very being for this to be our response. No matter what. What stood out to you in this chapter? Like the what-ifs, this one hits close, doesn’t it? P.S. Next week we’ll discuss chapter 3. I loved when this book was on sale this past week and I could buy it! I wasn’t sure I would like it, but I do! I was stunned by the ballet story. Just how horrible kids can be (and what their own hurts and fears must have been to mistreat someone else like that)! Excited to keep reading along! Since I read two chapters this week, the phrase, “When you find yourself in a situation that seems hopeless, remember the woman who mourned a son she wasn’t going to lose.” from chapter 1 has stuck with me… How often our fears leap ahead to realities we never face. Ah, yes, the needless fears we feed. I can relate to that more than I’d like! MM, now I’m tearing up too! Yes, that deep ache for people to know how loved they are and that they can “still dance” too. I love your tender heart. There is SO much I want to say about this chapter, but since it has been a rather long day (name one again that isn’t), I’ll hit the high points. First off, I’d never really given the life experiences of Leah much thought. Now, living in the part of the world that I do, it has a richer context. She may have never even wanted to marry Jacob, but I’m sure she longed for love. What woman doesn’t? And yet, after much pain, “she made the conscious decision to stop trying to please man and pursue what she desired in favor of praising God…. She surrendered her will for her life.” And, He gave her the desires of her heart–His love everlasting! And how many times have I burdened another, (insert my husband, my family, my coworkers, all of the above), with blame for their lack of ability? More than I can count or even ant to admit! What good things have I forfeited? I don’t even want to imagine them! How has doing this affected my image of God? I’m sorry God; my Superwoman costume needs to be shrunken down several sizes. I want to be like Leah. I desperately want to let go of my fear of rejection, abandonment, and betrayal and trade it in for my very own “Judah”. (BTW, I’ll be committing Genesis 29:35 to memory this week.) God, please refuse to fail me some more! 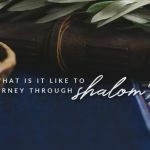 Hadassah, you ask powerful questions, questions we each need to consider. How’s the memorizing of Gen 29:35 going? I was also struck in this chapter by the story of Leah. It’s an interesting idea that maybe she didn’t even want to marry Jacob. When I was reading to my 11 year old this week he asked if Bathsheba wanted to marry David. I said I didn’t know, the Bible doesn’t tell us. My daughter and I went to an IF women’s conference last weekend and one of the speakers mentioned that we are like the Samaritan woman, carrying around a water jar that we need to leave at the well. It’s empty, it has to be filled, it’s heavy and it’s fragile. I thought about the desire for approval and seeking to filled by others in this chapter and how lightening it is to think of letting go of the cumbersome water jar because of finding the Source of Living Water. Amy, the movie clip you shared was really powerful. How many times he needed to hear “it’s not your fault” before he actually internalized it. And thinking of Robin Williams being the Holy Spirit embracing me was a great image. Thank you. sometimes our children have the most profound questions! I guess what struck me was the comparison with what we think we see and what is actually there. Leah chose to focus on God and let go of what she would find in Jacob. So difficult but so important to do. I also love how Angie acknowledges that this is actually very painful! Funny – she came back from Japan when she was twelve – my sister and I came back from Japan when we were eleven (we’re twins). We had been in an American community, so it sounds like it wasn’t as hard as it was for her – but it was still hard. We were out of step. No one teased me like that – but they did tease my sister. (I’m not going to tell my sister’s story here, though). I think I “hid” well. Which I think is coming up in the next chapter. But anyway, this is a great chapter. I love that she used Leah turning from trying to get her husband to love her to focusing on God. That was beautiful. 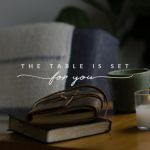 I do wish – and maybe she will get to this later in the book – that she had talked about turning our focus to God, and continuing to love people – with God’s love – maybe even the person rejecting us – without expecting them to love us back. Even when they aren’t loving us back. Because once we’ve turned our focus to Him, then we’re free to love others without expectation since we’re finding our fulfillment in God. I wonder if Leah continued to show God’s love to Jacob even when he was rejecting her, once she’d found her true source of love. Have you shared before you’re a twin and I missed it? Identical or fraternal? So curious :). Ah, yes, so much the Bible doesn’t tell us . . . what was it like, longer term, for Leah? What was no longer a struggle for her? And what cycled back and was a wrestle for her heart? Ugh, what a week. I’m walking through a valley in which I’ve felt angry and abandoned by God, not so much people. The Job reference hurt. I know in my head who God is, yet my heart is raw and confused. I hear God asking me the question He asked Job, and I want so much for my response to be as Job’s! I love that she quoted Job from The Measage. “I’m speechless, in awe—words fail me. I should never have opened my mouth! I’ve talked too much, way too much. I’m ready to shut up and listen.” I am praying now that I would really feel that way, ready to shut up and listen. She also said this: “There is rest there as we focus on the fact that it is His nature to love us well, and we need not fear that He will leave us stranded. 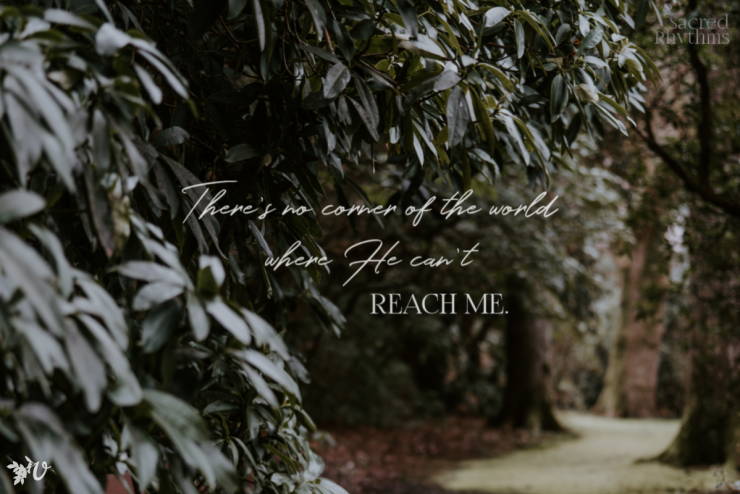 There is a glorious feeling in being able to believe He truly is enough, but most often we don’t turn to Him in that way when the world is being good to us.” Again, I know this is true, and I’m praying that I can rest there. He IS enough and He has NOT abandoned me. How gracious is our God to reach out and give us the words we need in the right time. I will choose to praise Him, even now. Brittany, thanks for sharing about the valley you’re walking through and your identification with Job. May you hear Him speak deep in your heart that He is with you and His plans for you are good. He will bring beauty out of your ashes. Brittany, I’m sorry that you are in a valley — I know God is there and that he will use it! But that doesn’t make being IN it any easier, does it?! I’m thankful that the words of God and the words of this book helped to give you things to focus on. I’m also hoping God will let you see yourself moving in the valley (and not just “stuck” in it). Cyber hugs!! I was really feeling like the Father wanted me to be part of this book reading, but I was letting all types of things be excuses – cost of the book being one of them, and yet I felt convicted that I was willing to ignor his leading because I wanted to save money. I told him I would make the investment and trust that he would provide. And he did – above and beyond! The day after I agreed to trust, I checked the price of the e-book on Amazon, ready to buy it and was blown away to see it was $.99!!! Wow, thanks God for that awesome gift! So I’m a little behind still, just finished up chapter 2 and found so many amazing, heart piercing truths – I’ve dealt with a lot of fear related to rejection, abandonment and betrayal, especially since moving overseas and not having found a loving community within the org that we were working with (we have since switched companies and I have personally found so much freedom in looking to Him for my acceptance, as opposed to leaders or teammates who might have expectations of me that are not really His for me…anyway). I am thrilled to be reading this book and am so thankful for my loving Father who doesn’t turn his back on me even when I doubt his love and goodness. There was a lot of that on my part this past year as we’ve been back in the states, switching orgs, dealing with hurts from people whose friendship was only organization-deep and learning finally to look to him for acceptance and love instead of people. 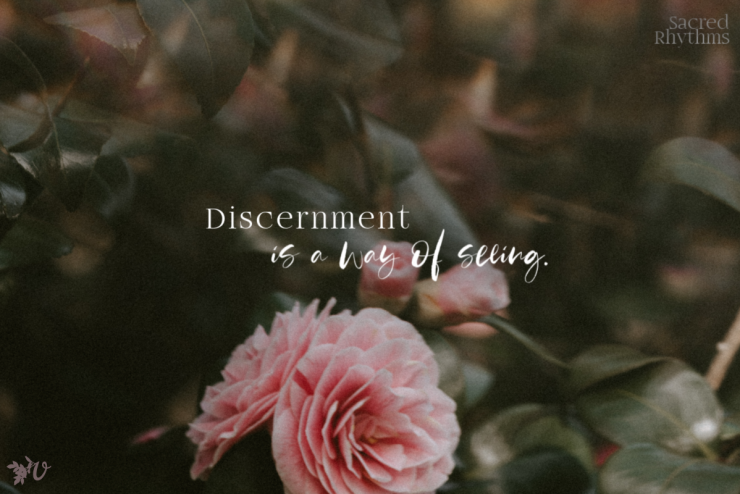 And this lesson in looking to him and not fearing people or circumstances is definitely not over for me, as so many fears are resurfacing now that we are packing our bags and getting ready to head back. So excited to see him put a new song in our hearts and give us a renewed vision and excitement for the work he’s called us to. But just lots of memories surfacing from past hurts, betrayal, and all that. Honestly, as I look back I’m so thankful for all the hard things that went on because I think a lot of it was because we were looking to others to play a role they were never meant to fill. 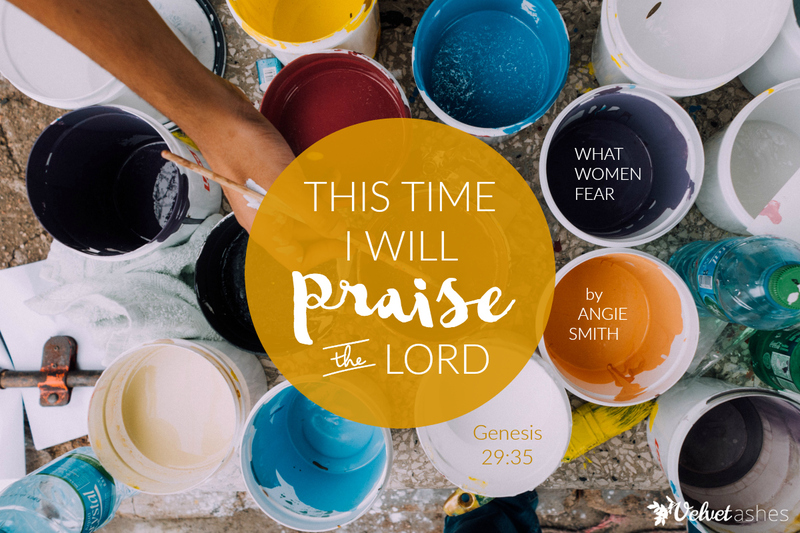 As Angie said, “When we depend on others to be our God, we strike out on a couple levels. We burden them with blame for their lack of ability and we forfeit what God could have done if we would have honored Him in the way we should have.” And I can fully echo these words as my own – “I don’t know that I do a great job of resting and depending on Him fully unless I am pressed against a wall, out of options, begging for relief.” So thanks for loving me Daddy, so much that you would let me feel hurt and hardship so that I would come running back into your arms of Love!